3 copies of Classic Monsters magazine. 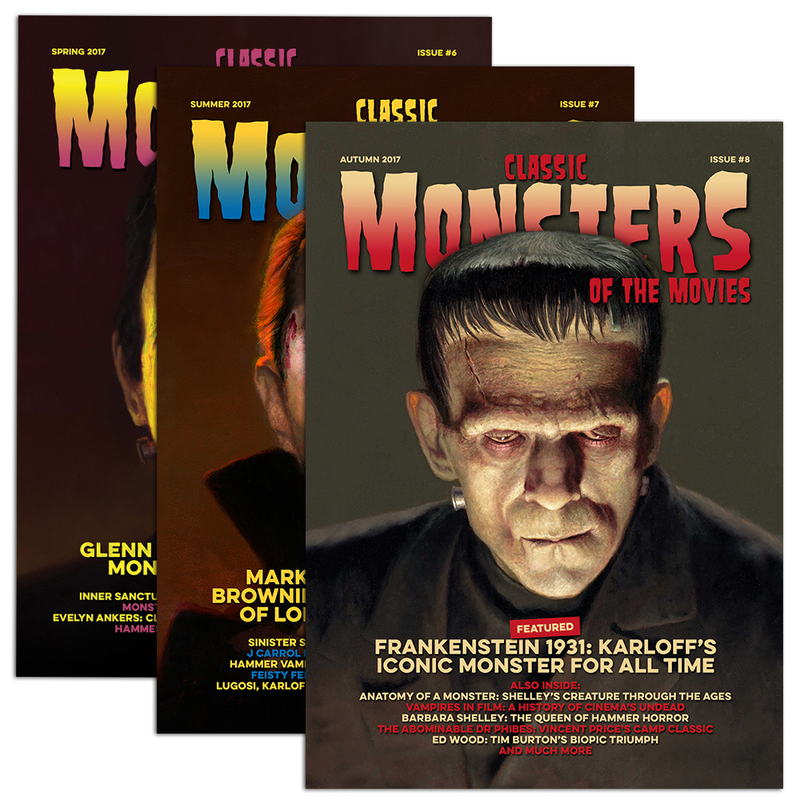 Get more issues for less with a Classic Monsters of the Movies subscription – save money on cover price and receive exclusive FREE postcards and art prints throughout the duration of your subscription! Save even more with a six-issue (12-month) subscription – click here for details! 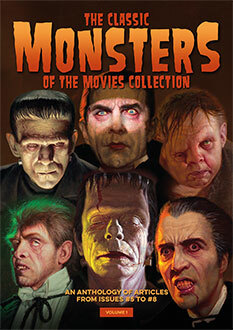 Classic Monsters of the Movies magazine is a fantastic new publication for every horror movie fan in the land. Every issue is packed with in-depth features and analyses on classic monster movies, characters and stars, brought to you by a team of world-class journalists, and featuring cover artwork by acclaimed illustrators Ron Whittaker and Daniel Horne. Lifting the veil on all those monsters we love to fear, Classic Monsters of the Movies is already bringing the world of horror something to talk about. Classic Monsters of the Movies is published bi-monthly, and you can save on cover price with a subscription. Each magazine has a range of compelling articles, taking a fresh look at some iconic horror movie characters whilst revealing the intriguing and often tragic stories of many monster stars. Future issues will scour the horror universe, bringing you a unique perspective on your favourite monsters – as well as some horrors you might not have encountered before. Be sure of your regular monster fix by placing your subscription order today. Just choose the issue you want the subscription to start at using the dropdown menu above; we’ll send any in-stock copies covered by your subscription, and the future ones will be shipped out to you as they’re released. Please note that payment will be taken in full for all the issues covered by your subscription. Take out a subscription and you’ll receive FREE gifts including postcards and art prints! I had no idea the magazine was put together so well. Looking forward to a subscription.